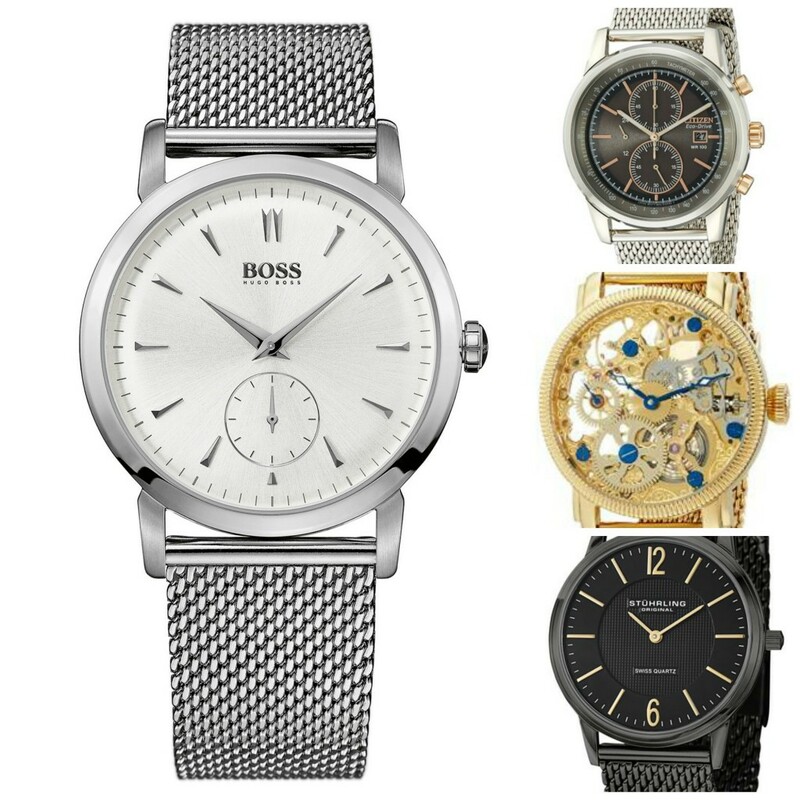 Today I’m showcasing 10 of the most popular mesh strap watches for men. 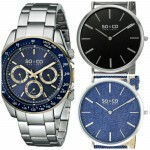 Watches with mesh straps have grown in popularity lately so felt I would show you what you can get for your money. Starting at £34.00 and going up to £250. Quite the price difference today. My favourite has to be the Hugo boss watch at number 10. Let me know which one you would go for in the comments below. 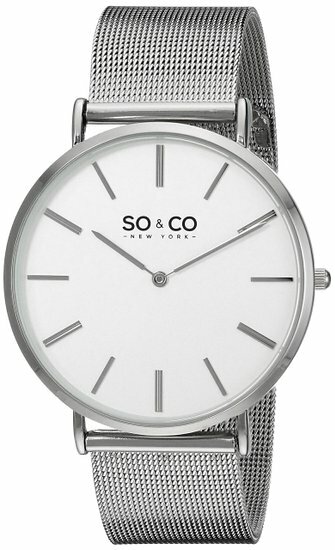 First up in our list of the top mesh strap style watches is this popular affordable watch from So & CO New York. It features a nice slim case with a polished beveled bezel that looks great. The dial has a minimalist style to it with no seconds hand on display. The watch runs on a quartz movement and has a 30m water resistance rating. 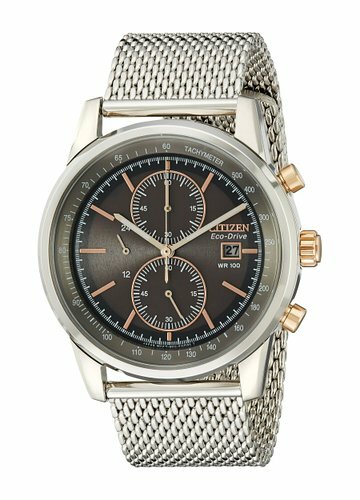 This mesh strap Citizen watch features the popular Eco-Drive technology. This means the watch it powered by light and never requires a battery, a very handy feature. It showcased a chronograph and date display on the dial and has a 100m water resistance rating. 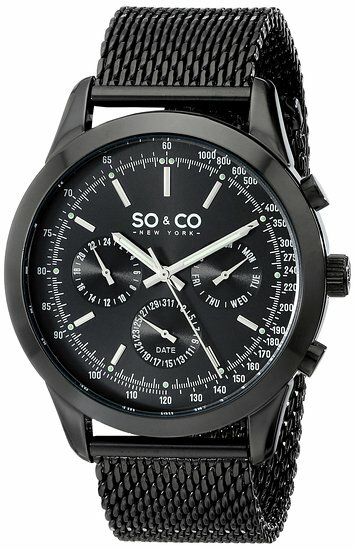 This next watch from So & Co is ultra stylish with its black PVD high polish casing and black PVD plated mesh strap. The watch runs on a chronograph quartz timepiece that’s accurate and reliable. I recently did a hands-on review of this timepiece, you can head over and read my full review of it here: DEVA 40mm. I recently had the opportunity to do a hands on review of the Akribos brand. I was actually very impressed with them and the pictures rarely did the watches justice. This gone tone skeleton timepiece from Akribos XXIV just makes your head turn. 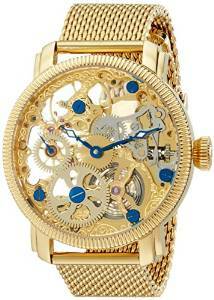 It runs on a mechanical movement and has a Krysterna crystal protecting the dial window. 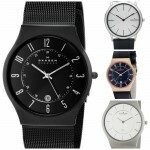 Skagen are another popular brand for these slim style watches. The dial has quite a minimalist design to it with just these slim watch hands and hour baton markers on show. 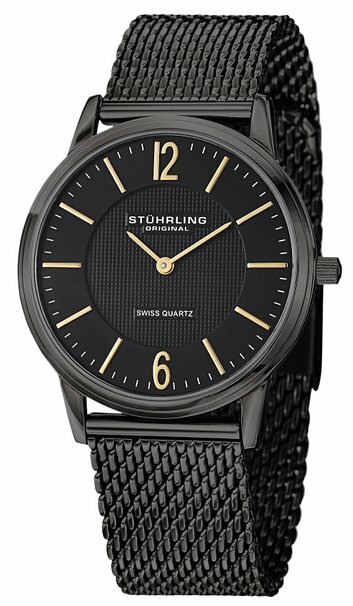 Next up from Stuhrling we have this black ion-plated timepiece that features an impressive Swiss quartz movement. I really like the dial design on this timepiece, the detailing on the inner part makes it stand out somewhat. The watch has a 50m water resistance rating and features a strong protective Krysterna crystal glass. 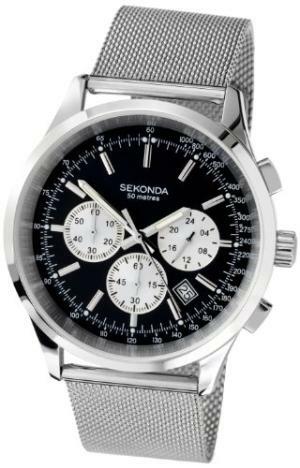 Next up we have an affordable timepiece from Sekonda, they have a large selection of various styles and designs available. I like the spacing of the chronograph subdials on this model. 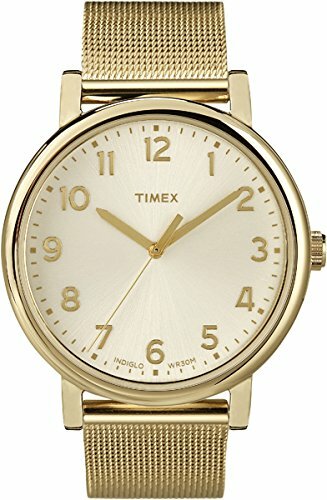 Another PVD gold option is this T2N598 from Timex. 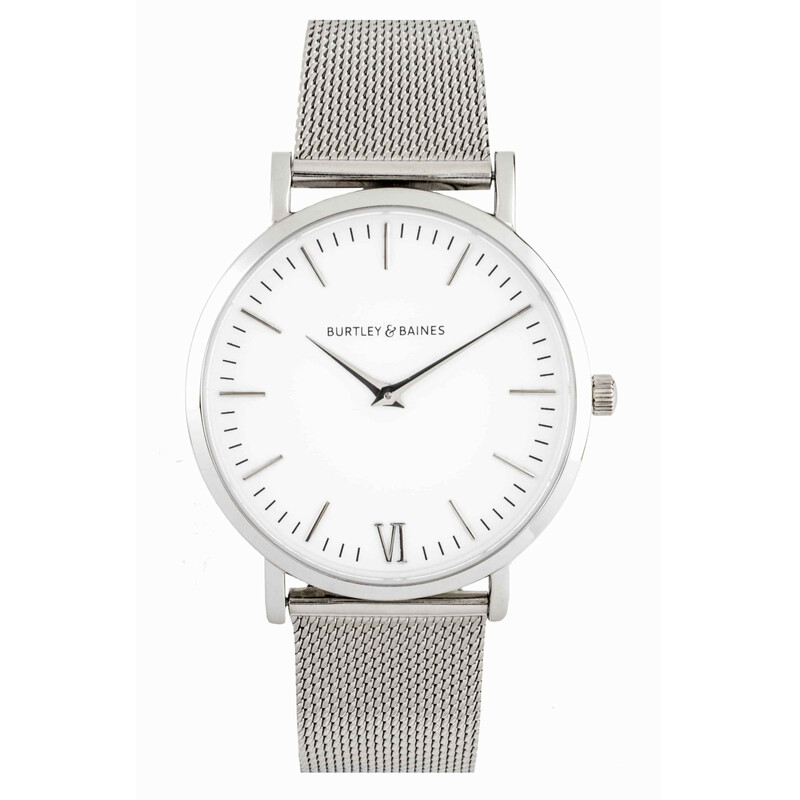 The watch has a simple classic design and a comfortable stainless steel mesh bracelet. A key feature of the watch is the Indiglo night light technology, the whole dial can be illuminated at the touch of a button. 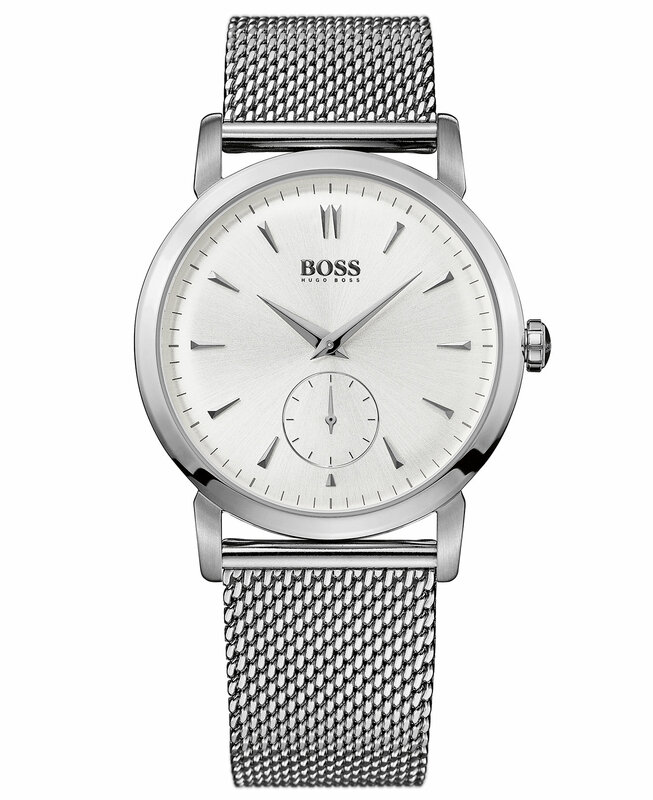 The final watch we’re featuring is this designer watch from Hugo Boss. I’ve always been a fan of this movement that places the second hand in a separate sub dial at the 6 o’clock position. Thanks for reading, that was the 10 most popular mesh strap watches for men. 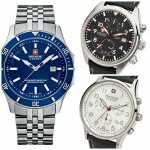 If you enjoyed that I recommend checking our top 21 watches under £200. Good! 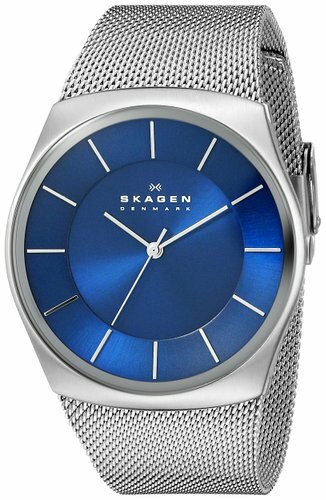 I\’ve always liked mesh watches. Some models I already knew, others I\’m going to see what they are. Thank you.